Bend, Oregon based advertising firm, Agency689 Inc., welcome their latest strategy and branding client Oxford Corporate to their hotel portfolio. Oxford Corporate has selected Agency689 Inc. as their new branding and strategy team tasked with the rebrand of their corporate office and 16 properties across the Western United States. Based in Bend, Oregon, Oxford Corporate owns and operates a portfolio of lodging brands throughout the West, including the boutique-style Hotel and the business and family leisure focused Suites. “It is a pleasure to work with long-time hoteliers like Oxford who innovate and hone their craft at every juncture. 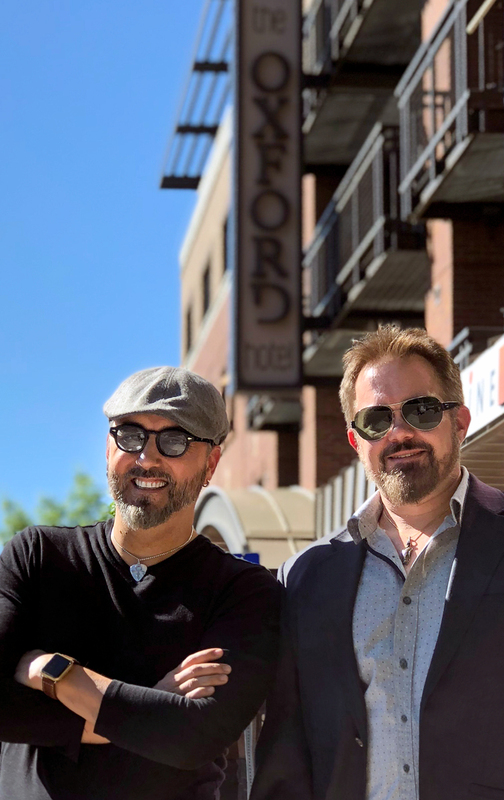 We aim to honor the heritage of the Oxford brand and the family behind it, but also put an emphasis on the strong local ties at each property and warm sense of welcoming that are hallmarks of every Oxford stay,” says Agency 689’s Managing Partner, Adam R. Cagle. Oxford Corporate is a Bend, Oregon-based family-owned hotelier that currently manages a portfolio of 16 properties throughout the West under the Oxford Suites and the OXFORD hotel brands. Oxford Corporate has been in the hospitality business since 1955 and opened its first Oxford Suites property in 1989. Today, Oxford Corporate properties can be found in Oregon, Washington, Idaho and California. For more information, visit oxfordsuites.com. Agency689 opened in 2001 and they have spent the last 17 years focused on strategy, brand, and creative for the hospitality and entertainment industries. During that time, they have completed branding, strategy, and creative work for over 40 hospitality clients including Sunset Marquis, Hotel Nikko, OLS Hotels, Magnolia Hotels, and Hotel Figueroa.